A new Hepatitis C clinic which aims to help patients receive treatment quicker and closer to home has officially opened in Smethwick. The much-needed service allows patients to be seen and treated by specialists from our Trust at the Alberta Building, run by Cranstoun Sandwell. Hepatitis C is a virus that can infect the liver and if left untreated, can sometimes cause serious and potentially life-threatening damage to the organ. Dr Saket Singhal, consultant gastroenterologist, welcomed the opening. He said: “We are delighted to work with Cranstoun Sandwell to deliver this service. “This community-based service will give patients easier access to treatment, instead of having to travel to hospital. “We know that a group of our patients, who are alcohol and drug dependent, have been reluctant to come to hospital for a number of reasons. By working with Cranstoun Sandwell, a charity that is already helping patients with these issues, we hope to deliver better care. Arron Owen, Borough Manager at Cranstoun Sandwell, added: “We offer blood-borne virus testing to all our service users and this on-site clinic will make accessing vital treatment for hepatitis C much easier. “Our staff are excited about this development and looking forward to not only improving our knowledge of this virus but also being able to offer our service users the treatment more efficiently. It is estimated around 215,000 people in the UK have Hepatitis C. Most infections occur in people who inject drugs or have injected them in the past. It’s estimated around half of those who inject drugs have the infection. As Hepatitis C often doesn’t have noticeable symptoms, the only way to know for certain if someone has the virus is for them to be tested. For more information about the service, please contact Cranstoun Sandwell on 0121 553 1333. 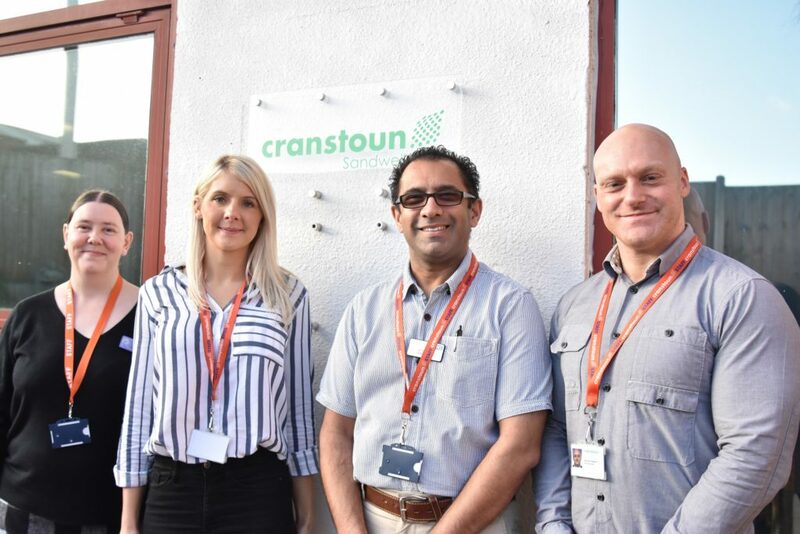 Cranstoun is a charity empowering people to live healthy, safe and happy lives. They offer a wide range of services across England, including community-based and residential substance misuse services, supported housing, specialist services for young people and families and carers, and domestic abuse services. Their skilled and compassionate teams work with service users, families and communities, helping them to make positive changes. They’ve been making a difference since 1969 by combining their expertise with innovative approaches and putting people at the heart of what they do. Visit Cranstoun’s website at cranstoun.org or follow Cranstoun on Twitter at twitter.com/Cranstoun_org.